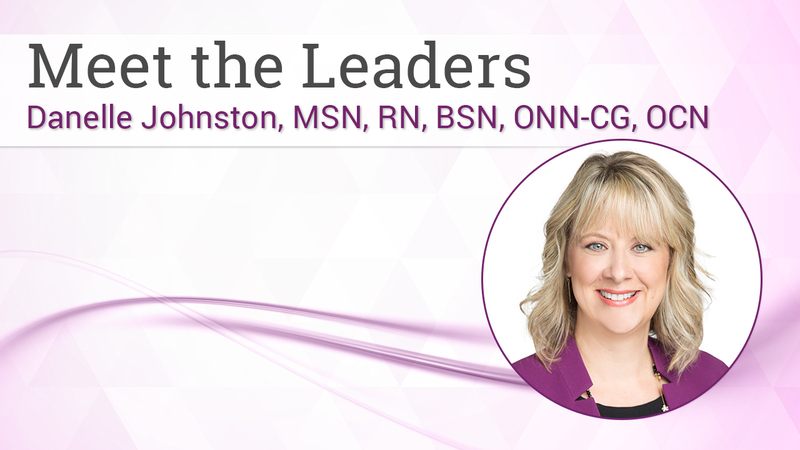 Danelle Johnston is the Chief Nursing Officer, Senior Director of Strategic Planning and Initiatives with The Lynx Group. In this role, she is instrumental in supporting the many committee activities of the Academy of Oncology Nurse & Patient Navigators (AONN+), exploring and nurturing partnerships with other organizations in clinical and oncology arenas, and providing key clinical and professional insight that will help AONN+ enhance its sponsorships and services. With more than 24 years of experience holding a variety of roles with a diverse and progressive oncology nursing background, Danelle is recognized as a national nurse leader in oncology nurse navigation and a leader in innovative community outreach and education, focused on improving clinical care and coordination, and supporting the growth of others in the profession. Danelle also serves on the National Certification Task Force for AONN+ and helped to develop core curriculum and a test blueprint for the national certification exam that was launched at the AONN+ annual meeting in November 2016. In addition, Danelle co-chairs the AONN+ Evidence into Practice Committee with a mission of enhancing collaborative engagement by utilizing evidence-based practices around broad quality initiatives. Danelle earned her bachelor’s degree from Azusa Pacific University and her master’s degree in nursing, with an emphasis on leadership and management, from Western Governors University. She holds many certifications, including Oncology Nurse Navigator–Certified Generalist™, Oncology Certified Nurse, and Certified Breast Care Nurse. In addition to being an avid researcher, presenter, and teacher, Danelle is a member of the Oncology Nursing Society.